Transparency is an increasing and transformational trend, with vehicles such as social media and virtual reality now providing unprecedented abilities and responsibilities in sharing thoughts and experiences with others. Businesses face the same trends – and challenges – in demonstrating transparency with a growing number of stakeholders. 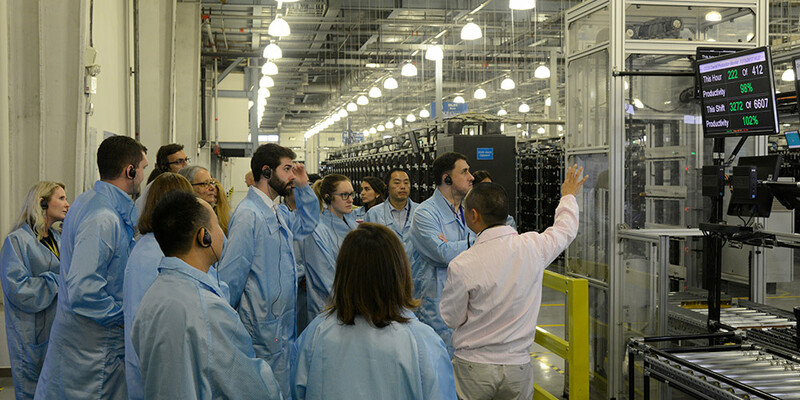 Customers increasingly want to know more about their products, and we’ve seen this first hand at Dell: the number and range of the customer requests we receive is rapidly accelerating, especially about the manufacturing of our products. This isn’t something we’ve just realized. We recognized its importance back in 2013, when we defined 100 percent transparency as a supply chain guiding principle in our 2020 Legacy of Good. Although we’ve established specific ambitions to demonstrate progress, such as setting greenhouse gas reduction targets or reducing water use, ensuring the proactive sharing of this data is just as important as capturing it. The dislocated nature of supply chains can make transparency even more challenging, requiring change across multiple businesses and factories of varying size and expertise – especially so in aspects of commercial differentiation. Our actions in response to these challenges are captured in a twice-yearly published Supply Chain Sustainability Progress report, which consolidates information and data on areas of most interest to customers and stakeholders, such as monitoring working hours, up-levelling health and safety and environmental risk mitigation at supplier factories. Our yardsticks for progress come from the Responsible Business Alliance, RBA (formerly Electronics Industry Citizenship Coalition), reflecting our role as a founding member and RBA’s intention to establish common standards across a sector where suppliers often work with multiple technology customers. We also recognize the need to convey our information across a number of different channels, leveraging their attributes and preferences of customers and other stakeholders to inform them proactively. In 2015, we pioneered tours of supplier factories to enable customers to see operating areas, canteens, dormitories and leisure areas at first-hand, as well as meet the people who work there. The benefit of this initiative was clearly evident in feedback and dialogue with participants, complementing the data-driven transparency provided through monitoring and reporting. 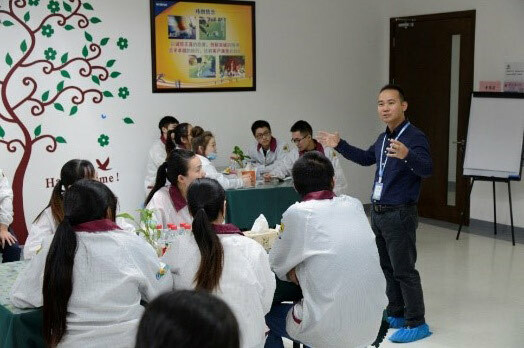 We wanted to open up these benefits to a wider audience, so we undertook filming during a 2017 supply chain tour at one of our suppliers’ facilities in Chengdu, China. Although these films cannot fully replicate the onsite experience, they provide authentic insight for those currently unable to visit, providing a foundation for dialogue on key topics such as staff wellbeing and social and environmental responsibility. We’ve already seen these benefits in sharing the VR experience with customers, NGOs, academics and our own team members. Expanding transparency to drive insight, feedback and dialogue is not only enriching our current relationships but establishing new connections with audiences wanting a more immersive experience. Although the vehicles may change, the outcomes remain the same: driving a better product (through increased insight), strengthening relationships, and enhancing the ability to up-level standards in our supply chain, especially for the people whose work is so critical to ensuring our products perform to the high standards expected by customers. While the VR experience is best viewed through a Dell VR visor, our 360-degree videos offer great insight into how this video approach can expand transparency into our supply chain. Our full suite of 360-degree supply chain tour videos are here.